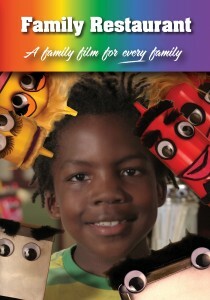 Our first project was “Family Restaurant,” a children’s film that celebrates young children with gay or lesbian parents. It’s set in a magical family restaurant filled with cute characters who reflect these kids’ family lives. It features talking ketchup and mustard bottles and a grumpy toothpick dispenser named Picky among the colorful diner residents and employees, as well as real children with gay or lesbian parents. The film is now used as a teaching tool in schools, courtesy of Southern Poverty Law Center.